Mike Greene - mgreene@shawmedia.com Juliana Borchert, 5, waits for a bite during the annual Veteran Acres Family Fishing Derby Saturday, April 14, 2012 in Crystal Lake. The event, which featured free fishing lessons and hands-on fishing demos, was put on by the Crystal Lake Park District and the Crystal Lake Anglers. 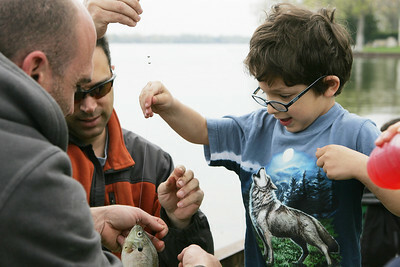 Mike Greene - mgreene@shawmedia.com Ari Shamash, 6, gets help from his dad Sande (center) and Tony Mrkvicka unhooking a fish he caught during the annual Veteran Acres Family Fishing Derby Saturday, April 14, 2012 in Crystal Lake. 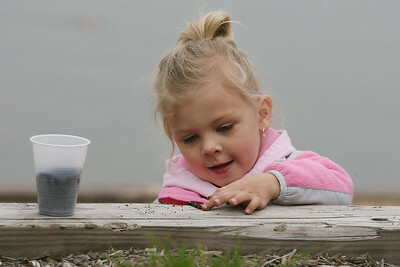 Mike Greene - mgreene@shawmedia.com Taylor Spencer, 3, plays with her bait while participate in the annual Veteran Acres Family Fishing Derby Saturday, April 14, 2012 in Crystal Lake. The event, which featured free fishing lessons and hands-on fishing demos, was put on by the Crystal Lake Park District and the Crystal Lake Anglers. 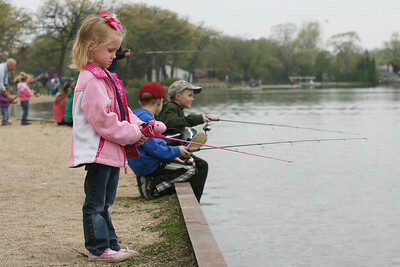 Juliana Borchert, 5, waits for a bite during the annual Veteran Acres Family Fishing Derby Saturday, April 14, 2012 in Crystal Lake. The event, which featured free fishing lessons and hands-on fishing demos, was put on by the Crystal Lake Park District and the Crystal Lake Anglers.